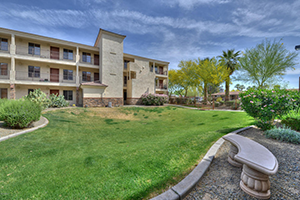 ABI Multifamily, a dedicated multifamily brokerage and advisory services firm, is pleased to announce the bulk condominium sale of Solterra on Fifth Avenue, a condominium community that is located in Phoenix, Arizona. The purchase consisted of 40 units (out of an original 60 units total on the property) and sold for $4.56 million ($114,000 per unit). The sale is the third transaction brokered by ABI Multifamily with Western Wealth Capital and the third bulk condominium sale between the two parties. The Vancouver, Canadian-based Western Wealth Capital has been extremely active in the Phoenix market, having closed on 7 transactions, totaling over 1,000 units, since the beginning of 2015. The Buyer was attracted to Solterra’s Phoenix Midtown location, strong unit mix (90% Two Bedroom/Two Bath units) and value-add potential. Western Wealth Capital plans on executing a strategy that includes interior renovations to the units and hiring a third party management company to bring rents to up market. The property will continue to operate as a rental community with the possible exit strategy of individual sales in the coming years. “There’s been a tremendous amount of capital that has targeted Midtown Phoenix for acquisitions, but a lack of available inventory has made it difficult to satisfy that demand. This was a terrific off-market value-add opportunity for our client with below market rents and an opportunity to improve the asset’s value with their management capabilities,” according to Eddie Chang, Partner at ABI Multifamily. “Midtown Phoenix is thriving. The multi-billion dollar light rail project has been highly successful. The focus on transit and infrastructure investments has attracted technology and health care companies to the area. Combined with the city’s effort to retrofit existing office space in the area to appeal to high-tech tenants, Midtown is one of the most desired locations in Phoenix right now,” states Doug Lazovick, Partner at ABI Multifamily. Located at 4350 North 5th Ave in Phoenix, AZ, Solterra was originally built as condos in 2006. After release, units at Solterra sold for upwards of $211K at the peak of the market. With an emphasis on quality construction, interior unit amenities include: stainless steel appliances, cherry cabinets, granite counters and full size washer and dryers. The 3-story community offers residents luxury property amenities which include: elevators in each building, a beautiful pool and spa, gated/controlled access security and views of the Midtown Phoenix skyline. 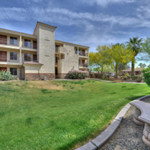 The Phoenix based ABI Multifamily brokerage team of Eddie Chang, Doug Lazovick, John Kobierowski, Alon Shnitzer and Rue Bax represented the buyer in this transaction and Mueller & Associates Realty Advisors represented the Seller.